Taking pictures at the Morris Arboretum, be they of trees, bees, flowers, or people for your own personal use, is free with paid admission and for Members. Drone use is strictly prohibited in the garden. Please do not interfere with any other person’s enjoyment of or access to the garden or garden features. Just like any other visit, you must respect the garden. This includes, but is not limited to: no climbing on or sitting in trees; no walking or standing in flower beds or other off-limits parts of the garden; no getting into fountains; and no tampering with any living thing in the Arboretum. Please, no changing outfits anywhere in the garden, even if you think the tree is big enough to hide you. It’s not. While engagement photos are okay, if you do not have a contracted wedding at the Arboretum, you cannot take wedding photos on the grounds. It’s okay to use a tripod, unless: the grounds are wet or the tripod is blocking designated walkways or in any way preventing other guests from moving around freely. 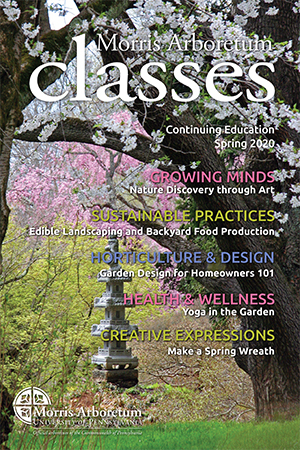 Should your photos be used in any publication, please credit the Morris Arboretum of the University of Pennsylvania as the location. Any use, reuse, or reproduction by any means for commercial use without the express written consent of the Morris Arboretum is strictly prohibited. During your visit, you and your guests may be photographed by Morris Arboretum staff or photographers. 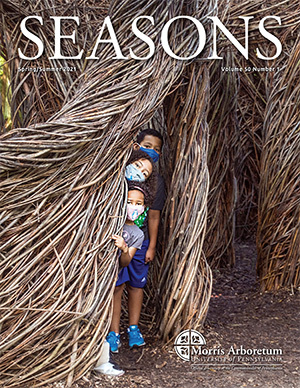 Admission to the garden and participation in any of its activities and programs serves as permission for the use of such images by the Morris Arboretum and gives the Morris Arboretum all rights to the images.